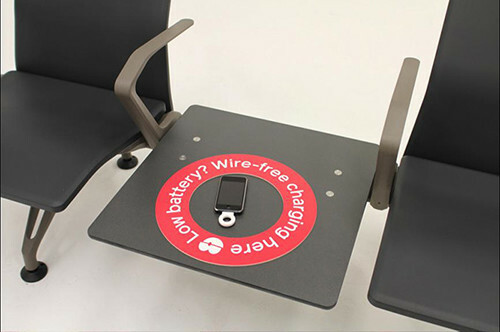 There are mainly three options when you want to make your furniture realize wireless charging function. 1.Wireless charger whose working principle is electromagnetic induction (usually we call Qi standard wireless charger). 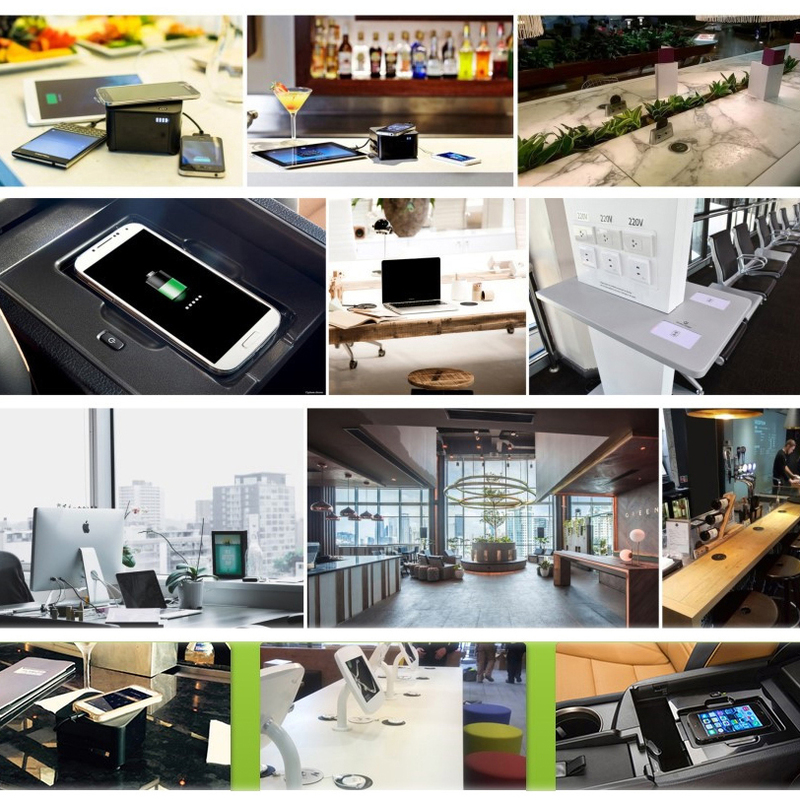 These kinds of wireless chargers work directly for all those phones we can see on market which possess wireless charging feature, such as iPhone 8 and above, Samsung Galaxy Series, etc. For the current phone makes, they adopt this Qi standard when they release new arrivals. Now These wireless chargers have a wide range of application. but there is a weakness when we come to charging distance. relatively speaking, the charging distance is very short, about 3-5mm, so if you want to embedded this kind wireless charger into table, you must drill a hole on the surface of the table, and then put the wireless charger into the hole, obviously, we can see wireless charger on the table. When we install these wireless charger, there is one point we must keep in mind, the distance between table surface and wireless charger should be less than 4mm. If exceed this distance, wireless charger may not work or in very Inefficient state. 2.Wireless charger whose working principle is Magnetic resonance but compatible with Qi standard. These kinds of wireless charger has all the features of Qi standard wireless charger, but it has its own unique advantage when we talk about its charging distance. It can allow you to charge your phone as long as 3.5cm, because of its supporting long range charging, it is very convenient to install these charges, what you need to do is just to use screws to fix this kind wireless charger under the surface of the table. Obviously, chargers are invisible. 3.Wireless charger whose working principle is pure magnetic resonance, this charger also supports long range wireless charger, but it must come with one specific receiver, so if you want to charger your phone with this kind charger, the receiver is necessary. When we say these kinds charges, they are kit includes wireless charger and the specific receiver. with this charge kit, all phones can realize wireless charging. Previous:How to pass QI certification one time?